New York City is notorious for its fusion of culture and ethnic diversity. When deciding to move to any part of the city, it is important to know a little about the history and atmosphere. Manhattan alone can be divided into 23 sections, each one different from the next. Click on an area of interest to read a brief history and living guide. The area above West 96th Street is comprised of many individual “neighborhoods” some of which include: Washington Heights, Morningside Heights, Inwood, Harlem, Hudson Heights, Manhattanville, Mount Morris and Sugar Hill. Harlem has an interesting and very culturally significant history. The area was completely independent of New York City until 1873. Most known for the “Harlem Renaissance” in the 1920’s and 1930’s Harlem has seen many peaks and valleys. The Harlem Renaissance showcased artists and professionals at a time when many people of different races were unappreciated for their talents. The area of Harlem was first settled by the Dutch in 1637 and then abandoned on and off until 1658, at which time it came under the rule of Peter Stuyvesant. In 1664 The English took control of the area and renamed it Harlem. During the Late 1700’s Harlem was considered an elegant area to live in and consisted mostly of wealthy farmers and their families. During the later 1800’s the area declined and was taken over by the city of New York. In the early 1900’s with the advent of mass public transit, Harlem experienced revitalization. Many African American and blacks migrated to Harlem during the real estate crash spanning from 1890 through 1910, seeking better jobs and escape from the Jim Crow south. The Harlem Renaissance created a center of black culture, jazz venues and artistic production. Even though there are had a large black population and the hottest artists were black, many clubs, restaurants and lounges were still segregated during this time. Harlem is a Mecca for amazing architecture. It’s home to over 400 churches, the Dance Theater of Harlem, Apollo Theater, City College of New York, Harbor Conservatory of the Performing Arts, The Harlem School of the Arts, Lenox Lounge, Mount Sinai School of Medicine, Museum of the City of New York, Studio Museum in Harlem and many more. 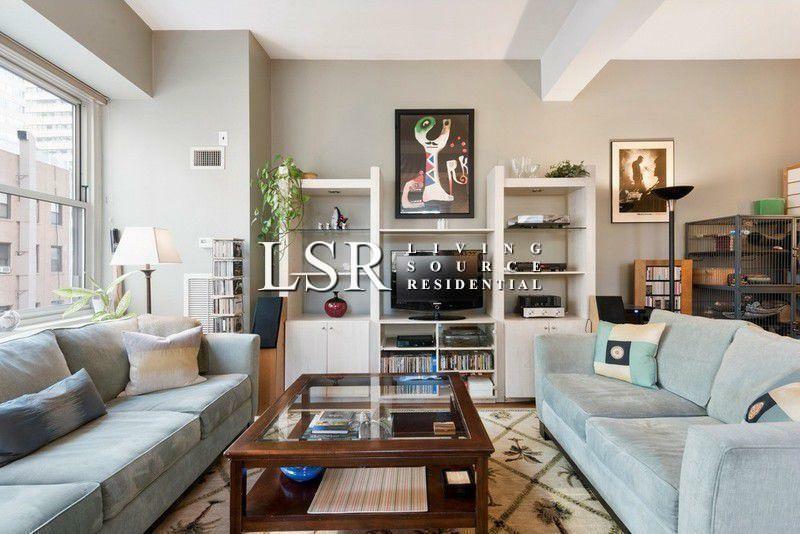 Harlem Real estate has undergone its own ‘Renaissance’ since 1995. Many of the existing brownstones have been restored to their original splendor; doorman/luxury buildings have been erected; 6-8 family townhouses have been built or restored. Prices have soared and the residents have seen a gentrification of the areas below West 140th Street and above 200th Street. Gentrification of the remaining areas has recently begun. Since the early 1990’s property values in Central Harlem have increased nearly 300%. Until recently Harlem has been comprised of mostly rental buildings. In recent years, many more condos and co-op buildings have sprung up giving individuals the opportunity to own their own share of this historic neighborhood. 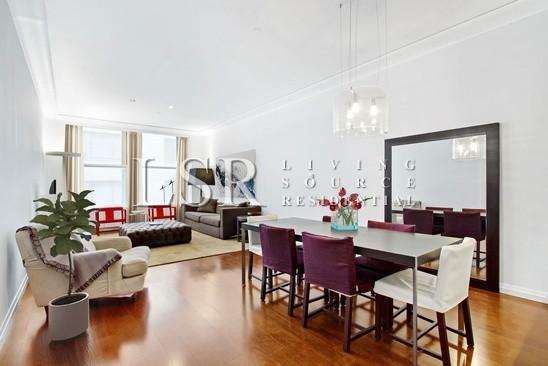 The Upper West Side is one of the most family-oriented residential neighborhoods in New York. Initially settled by upper-class Jewish families, the area has long been a welcome haven for young professionals and those with an artistic bent. 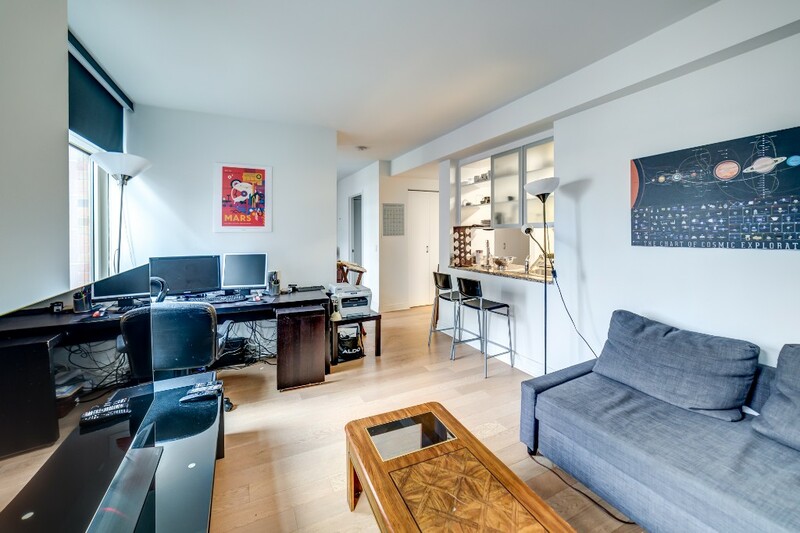 Apartments in this neighborhood have ample access to plenty of stores and markets (including the renowned Zabar's on Broadway between 80th and 81st Streets), public transportation, great public schools, and two major parks. There have always been a number of shops and restaurants in this region, and the strong economy in recent years has only contributed to their proliferation. Both Columbus and Amsterdam Avenues are probably the best examples of this trend. Each thoroughfare does brisk business on weekends, especially during the summer months. Compared to the manic pace of the West Village and Midtown West, however, the area is relatively placid, but hardly devoid of excitement. The Upper West Side contains Lincoln Center, one of the most important cultural centers in Manhattan. Five major performing groups are housed in the three main buildings that face the fountain, and the nearby Juillard School, which consistently graduates top performers in music, theater and dance, hosts a number of inexpensive and sometimes free productions throughout the school year. For sunny Sunday afternoons, Central Park may seem like the natural locale in which Upper West Siders might choose to spend a Sunday afternoon. Nonetheless, many residents prefer the slightly less popular but just as beautiful Riverside Park. Riverside Park may not be as wide as Central Park, but it is considerably longer, winding its way from 72nd Street all the way to 159th. Despite the fact that the West Side Highway runs almost directly through its center, Riverside has become a favorite with locals seeking to get out of their apartments for a while. Hugging the curves along Riverside Park's eastern edge is Riverside Drive, the only major thoroughfare in Manhattan to consistently deviate from the straight and narrow. The brownstones and apartment complexes that line Riverside Drive's east side are especially prized for their magnificent views of the park. While it may not boast a park view, West End Avenue remains the neighborhood's most sought-after address. The street is lined with beautiful apartment buildings of varying sizes, each more picturesque than the last. And since most of the traffic in the area travels up and down Broadway, it remains relatively quiet no matter what time of day it may be. Although many of Manhattan's neighborhoods have had their ups and downs, the majority of Central Park West is just as prestigious a place to own or rent a New York apartment now as it was decades ago. Towering over Central Park like a vast wall of monoliths, the buildings present both a literal and figurative pinnacle in the quest to reach the top in New York City. Of course, the main attraction for those who seek apartments on Central Park West is the unparalleled view of the park. 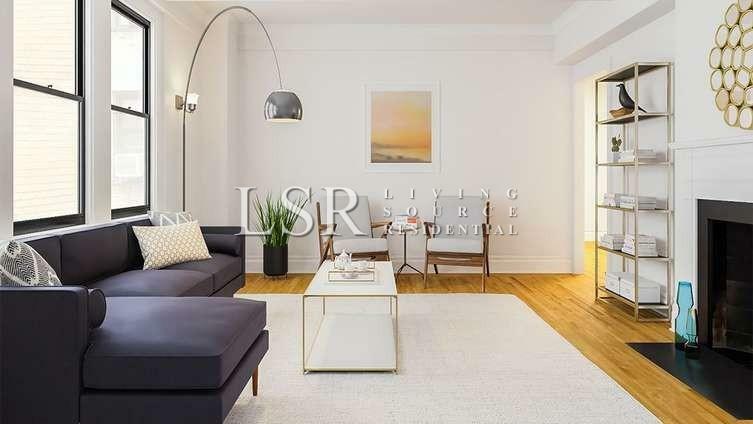 While most other city denizens prefer to live close to the ground in order to avoid those grueling walk-ups, on Central Park West, the higher you are the better. The reason is instantly apparent once you look out over the swath of green all the way over to Museum Mile on the other side. Central Park West begins as one of the offshoots at Columbus Circle with the ultra-luxurious Trump International Hotel and Towers. Donald Trump purchased the decaying building in the early 90s and completely refurbished it. Now it presents a reflective glass exterior behind which are housed a five-star restaurant, luxury apartments, and some of the poshest hotel rooms in the tri-state area. On the northwest corner of 72nd Street and Central Park West stands the Dakota. Although the castle-like building-complete with dry moat-has long been a favorite among the famous, it is now notorious as the place where John Lennon was shot. Walk further north and you'll soon come to the four-block sprawl of the American Museum of Natural History. The museum contains many reproductions of animal habitats and some truly monstrous gems, but the main attraction, especially for children, is most definitely the dinosaurs. One asset that Central Park West residents enjoy as a result of the magnificent location is the proximity of the Macy's Thanksgiving Day Parade. Those lucky enough to have an apartment on Central Park West needn't worry about crowds or inclement weather, as the route goes directly past their windows. Many residents get into the spirit of the day by inviting other New York residents over to watch the festivities. 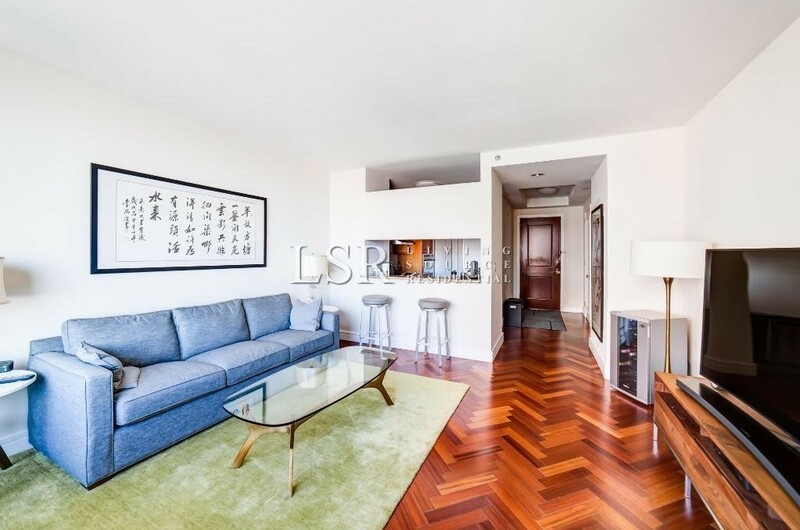 Because of the combination of amenities and location, apartment vacancies in Central Park West are not the easiest to come by. Those willing to make the investment, however, will find the dividends more than make up for the expense. The Lower Upper West Side spans from 59th Street through 79th Street and from Central Park West to the Hudson River. Initially settled by upper-class Jewish families, the area has long been a welcome haven for young professionals and artists. 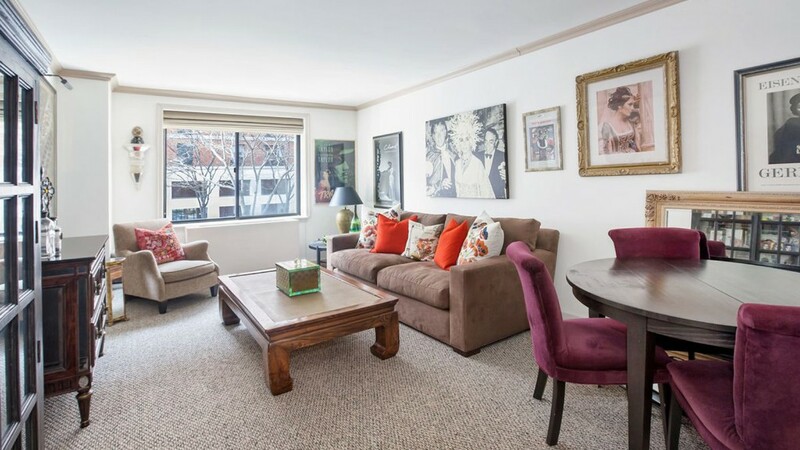 Apartments in this neighborhood have ample access to plenty of stores and markets, public transportation, great public schools, and two major parks. Shopping is a one of-a-kind phenomenon in the Lower Upper West Side. The area is recognized for stores such as Zabar’s (the renowned gourmet grocer and bakery), Fairway (an oversized mega specialty grocer), Bang & Olufsen (high-end audio video store), Barney’s (6,000 square foot high-end department store). Compared to the manic pace of the West Village and Midtown West, however, the area is relatively placid, but hardly devoid of excitement. The Lower Upper West Side contains Lincoln Center, and the Performing Arts Center, two of the most important cultural centers in Manhattan. Five major performing groups are housed in the three main buildings that face the fountain, and the nearby Juilliard School, which consistently graduates top performers in music, theater and dance, hosts a number of inexpensive and sometimes free productions throughout the school year. No matter what block you’re standing on, you’re just a few minutes walk from Central Park or Riverside Park. Enjoy Central Park for it’s massive open spaces and trails, outdoor activities, pools and hidden gems. Riverside Park starts at the bottom tip of the west side of Manhattan and spans all the way up to Inwood Hills Park, which starts at W. 203rd Street. Riverside Park and Central Park in the West 60’s through West 79th Street offer many free concerts, performances, water sports and public forums. Columbus Circle is a major landmark in the Lower Upper West Side. Created by Italian sculptor Gaetano Russo, the circle was erected to celebrate the 400th anniversary of Columbus’ first trip to the Americas. Near by you’ll find the Time Warner Center, Shops at Columbus Circle, and Jazz at Lincoln center, New York Headquarters of CNN, Trump International Hotel and Tower and the headquarters of Paramount Picture. Other near by institutions are the John Jay College of Criminal Justice, Fordham University, New York Institute of Technology and Professional Children’s School. The Lower Upper West Side offers many options for housing. From Old World, pre-war doorman buildings, to new high-rises, to renovated brownstones and townhouses, you have Manhattan style at your fingertips. Known for service excellence, the Lower Upper West Side is known for it’s incredible Luxury doorman buildings. Coops, Condos and rental housing abound in this wonderful neighborhood. East Harlem is a district that has gone through quite a number of names throughout the years. Known primarily as Spanish Harlem outside of the neighborhood, it was more commonly referred to as El Barrio ("the neighborhood") inside it. Making this all the more interesting is the fact that Hispanics were not the first residents of the area. The apartments and houses in East Harlem were originally built to be much more modest than the middle-class structures being erected in neighboring West Harlem. Because of this, working-class families naturally leaned toward apartments and houses they could afford. And the first ethnic group to take advantage of the East Harlem area was Italian.